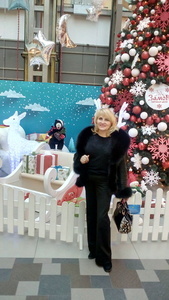 Meet Amazing Girl Elina from Minsk, Belarus, 54 y.o. Seeking A guy 52-65 y.o. I am sensitive, romantic, sincere and honest. I looking for man 50-65 years old, stable, reliable, non drinker, not looking for entire long internet partner, must be able for our meeting a real life, gentleman. I would like to share the best feelings with someone, who is open and honest person. I am looking for man for a serious relations - clever, careful, with sens of humour, tactful, accurate, man to spend the rest of my life with. I am aliving, honest woman and I would prefer someone who can talk alive in Skype .